While watching Favre throw a few touchdowns in today’s game (4 at the time I wrote this), I was reading Paul Gillin’s piece on “The Decade that Transformed Media.” What struck me after reading Gillin’s post are the many correlations between Brett Favre (traditional media), today’s transformation of media and Aaron Rodgers (new media.) Since I am Packer fan, I had to throw Rodgers into the discussion. 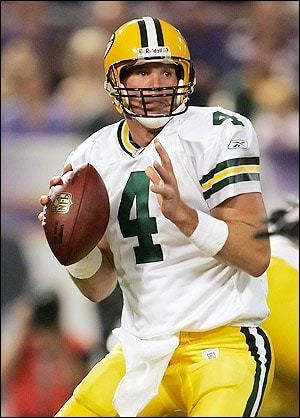 Favre is one of the most durable and decorated quarterbacks to play the game while playing 17 seasons with the Packers. There are plenty of stats that proves that claim including career touchdown passes and completions. He is a surefire first-ballot Hall of Famer. Gillin says in 1999, traditional media was at its peak. Traditional media posted impressive numbers and was never better. However, in 2007 after a 17-season career in which Favre (old media) dazzled fans with his grit, heart and rocket of an arm, he retired. The Packers (you, the reader) were forced to go in a new direction – Aaron Rodgers (new media). In 2007, for the first time in 17 seasons, the Packers had a new quarterback under center. Rodgers has big shoes to fill. How could the rookie quarterback replace such a legend? Flash forward to 2009, the Packers made the playoffs and Rodgers was selected for the Pro Bowl. Rodgers is showing lots of promise. Packer fans rejoice. In 2009, Social media pundits rejoice too. Gillin posts some pretty impressive numbers for the rookie media. Obviously, the Favre story didn’t end with his retirement in 2007. 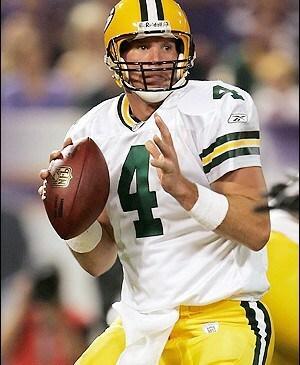 Favre ‘re-invented’ himself and is still throwing touchdown passes in a playoff game in 2010. He is having one of his best seasons ever. He is the oldest quarterback in history to play a divisional playoff game at 40. His numbers this year are impressive for a quarterback at 40. How will the story end for traditional media and Favre? Will traditional media re-invent itself? Maybe e-readers like the Kindle will save traditional media companies. The numbers look impressive so far in their short history. And maybe Favre will hoist the Vince Lombardi trophy one last time to end his storied career. Just as everyone thought Favre couldn’t do it at 40, look for traditional media to make a comeback in some new form. As far as Rodgers is concerned, time will tell. It sure looks promising. Are Twitter and Facebook what RSS has been waiting for?